Discussion How to get heterozygotes SNP with HaplotypeCaller ? 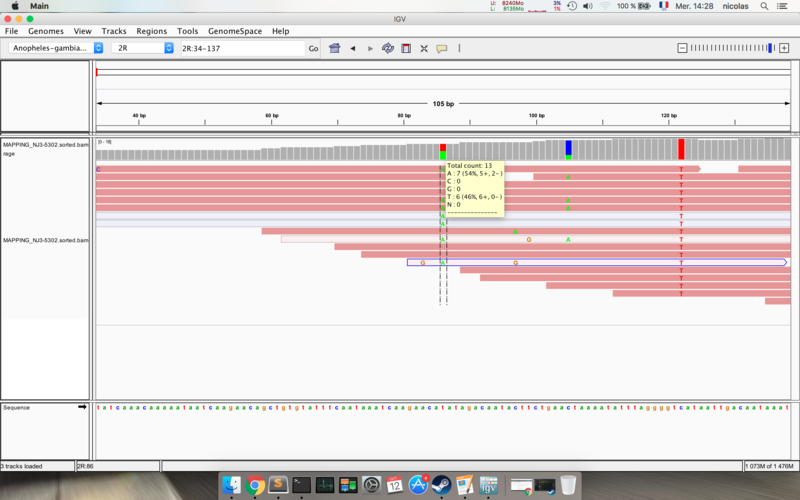 I am new to GATK, I try to find SNPs for paired-end data in the mosquito. The genome of the mosquito many polymorphism. I try to get a VCF file for each position all posibility for a SNP. In fact, when I look at my VCF file I have only one posibility for SNP as often it is heterozygous. At this position, with IGV i can see an heterozygous SNP : some reads are A other are T like the reference. Is it possible to get this information ? I am happy you figured it out yourself!